H&M invites you to discover the season’s menswear trends in a new commercial, titled “Autumn Focus”. 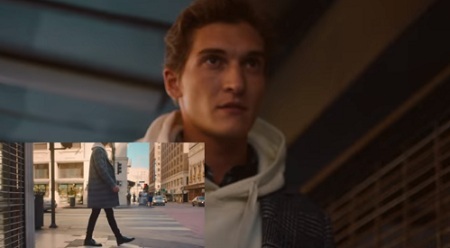 The 30-second spot features a young man walking through a city while sporting tailored outerwear paired with knitted retro-sport styles to illustrate the idea that “the modern man embraces autumn in warm, luxe textures and accents in bold jewel tones”. the textured wool-blend jumper, and footwear including mesh trainers, chunky-soled Derby shoes, and Derby shoes with chunky soles. The song used in the ad is “Night walk” by Dirty Beaches, the stage name of experimental musician, singer songwriter, producer and filmmaker Alex Zhang Hungtai between 2005 and 2014, from his 2013 album “Drifters/Love Is The Devil”.